The number one group of tourists to Japan in this time is apparently Australian skiers, who apparently flock to Hokkaido. I’ve not been anywhere near that far north, but this is as far north of Japan I’ve been so far, and it’s still a water freezing, bone chilling -10° Celsius, it’s Shirakawa, the UNESCO World Heritage Site. For this mountain + snow photo, and others like it, see my PhotoShelter portfolio, and my agent’s website. 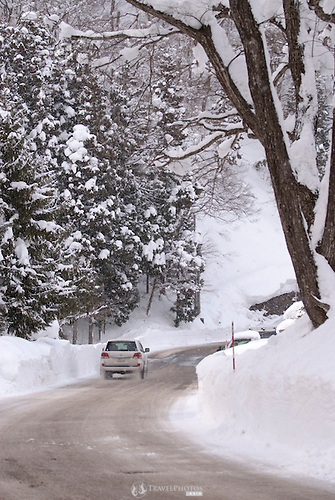 This is the first Photo of the Week for 2014, so it’s only fitting to look at what’s up in Japan now… snow! Shirakawa town is a UNESCO World Heritage Site, and is in the Gifu mountains, and is pretty guarranteed to get lots of snow. The town is in fact a collection of rural houses moved to this location to help centralise and maintain a traditional architectural style, and also to maintain the culture required to re-thatch the roofs every 20 years. This photo was taken on film, and the others in the Shirakawa Gallery of my PhotoShelter portfolio were taken on a mix of film and digital. This Photo of the Week (POTW) is from the UNESCO World Heritage Site of Shirakawa town. The name “Shira” + “kawa” in literal translation is ‘white’ + ‘river’. See more of the white around this riverside town at my PhotoShelter portfolio, and more info about Shirakawa here. 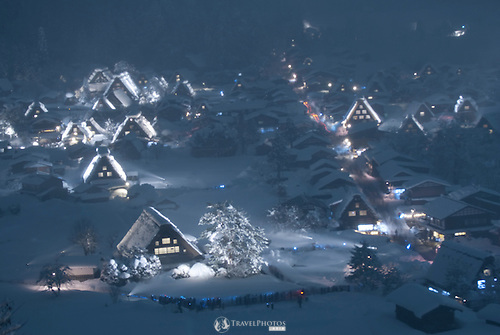 This POTW is from Shirakawa Village in the Japan Alps, and as you can see, it’s very snowy, dark, and cold. What you can’t see is that it is also a UNESCO World Heritage Site. 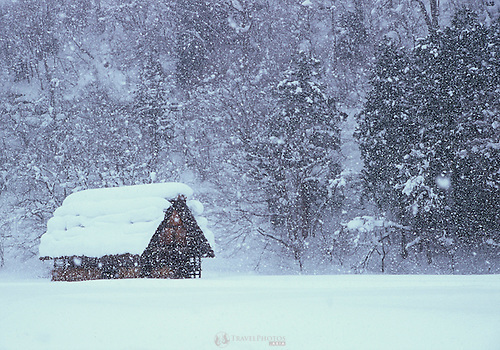 Shirakawa is a small village in the Japan Alps, and is protected as a World Heritage Site by UNESCO. I arrived with two friends to find the place in constant snow, and it got heavier by dusk. It’s an amazing place to experience. I spent several winters wondering how to get there, as most Japanese people seemed to believe that it was snowed in for the entire winter. In contrast, the village organises a series of light ups for tourists to come in and view the village. The day I was there, the day time high was two degrees Celsius (a shade above freezing), to minus six below freezing.